April Showers Bring Bernician Powers! – Oh, Bernice! April Showers Bring Bernician Powers! 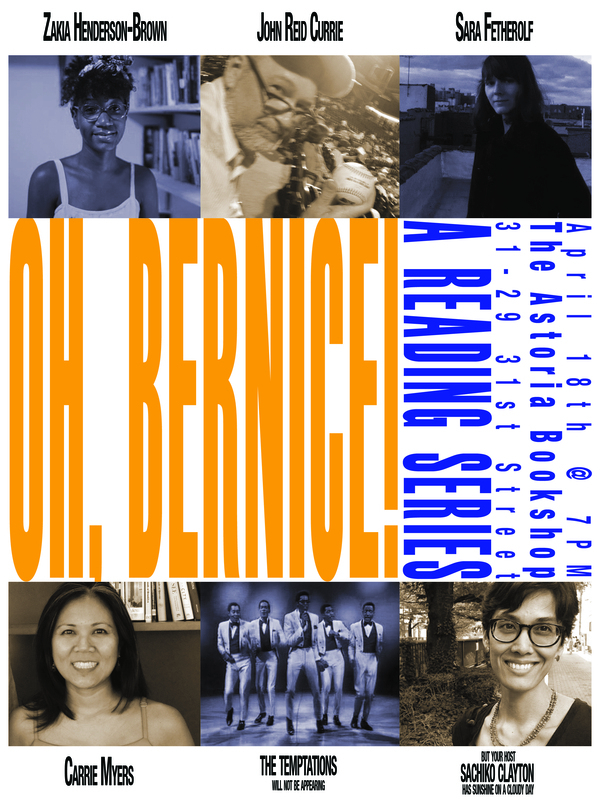 Cast off ye woolen undergarments (we’re looking at you John Currie) and skip down to the Astoria Bookshop (31-29 31st Street) on Saturday April 18th. But don’t be tardy to the party—the reading starts promptly at 7PM. This entry was posted in Upcoming Events and tagged Carrie Myers, John Reid Currie, Sachiko Clayton, Sara Fetherolf, the astoria bookshop, woolen undergarments, Zakia Henderson-Brown. Bookmark the permalink.